Nothing to wear? Buying quality clothes doesn’t have to break the bank. Check out one of my favorite ways to revamp your wardrobe on the cheap! Note: This post may contain affiliate links for your convenience. You can read my full disclosure policy here. I looked into my closet and saw a hodgepodge of items. A mishmash of clothes from various life stages. I glanced at the pre-baby clothes that now felt out of place, no longer quite at home on my changing frame. I smiled as I sifted through maternity clothes whose service reminded me of such special times in my life. Alongside those, a random assortment of post-baby clothes waited, items that I had bought here and there without trying them on or considering their versatility. What woman hasn’t uttered those words before? I pare down my closet often in the name of decluttering. I don’t want or need countless clothing items. But because they either didn’t fit well or coordinate well, the various items remaining left me feeling like I had nothing to wear. After reading a bit about capsule wardrobes, I’ve started to be more intentional in hopes of cultivating a pretty simple wardrobe of quality, versatile items. The trouble is, quality items can be expensive. Yes, it’s worth it to pay more for items that will last. But what if it’s not in your budget to buy several brand new items? Is it really possible to curate a new wardrobe on a budget? 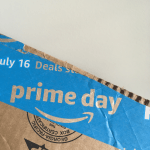 I set out to find high-quality items that would suit my budget. I’ve been buying things here and there from different stores. I try to take advantage of end-of-season clearance and sales and use Ebates when shopping online. 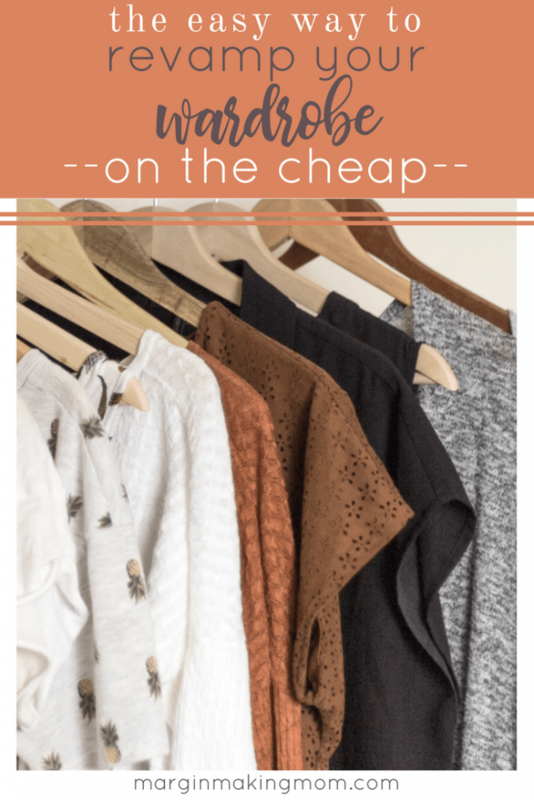 But shopping at ThredUp has become one of my favorite ways to save money on clothes! 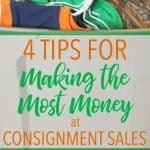 In addition to shopping at consignment sales, buying clothes for my kids from ThredUp has saved us a lot of money (it’s one of the many techniques we used to help pay off our debt)! I decided to peruse their adult offerings as well, to see if those clothes are as great of a deal as the kids’ clothes are. I’ve purchased adult clothing from them a few times now and have been very pleased with my experience. 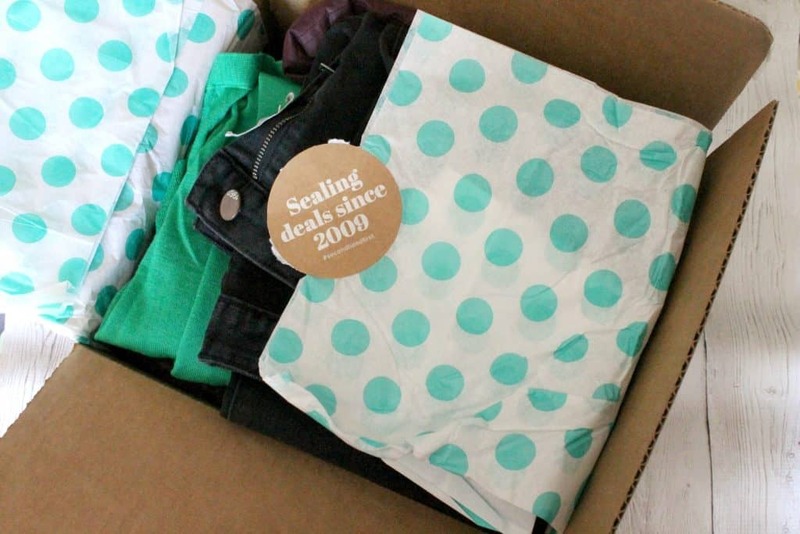 I’ve come to find that using ThredUp to buy clothes can definitely save a lot of money! I can buy name brand items for a fraction of the cost, and it’s so easy. In fact, my most recent order saved me around 75% compared to what I would have paid in the store! Obviously, those prices are not as low as what you might find at a thrift store. However, it’s MUCH easier to find what you need on ThredUp’s web site than it is to sort through racks and racks of clothes. Because people from all over the country send in items for resale, the variety is huge. With thousands of items to choose from, the chances of you finding what you want are pretty good. While the selection is good, having tons of items to sort through can be overwhelming. That’s why it is so helpful to be able to filter items. You can filter according to size, color, style, brand, price, and so on. This narrows your options to exactly what you want, so you don’t waste time sifting through things that don’t meet your criteria. In a lot of ways, this is even easier than shopping in a brick and mortar store because you can tailor the selection to your needs. 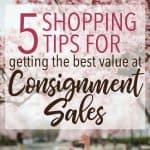 ThredUp sells many name brand items in like new condition or even new with tags! They use a rigorous quality control process to ensure all items are flaw-free, functional (buttons and zippers work, etc. ), and fashionable. They don’t accept clothes that are dated. Each listing gives details about the condition, and if any item does have a flaw, the listing will note it. Items for sale on ThredUp are deeply discounted compared to in-store prices. Not only that, but they almost always have additional promo codes you can apply to your purchases for additional savings. This helps everyone to have access to brands and styles that showcase their personal style, even if their clothing budget is small! Shopping secondhand is a great way to be a conscious consumer. Items that would otherwise end up in a landfill or an overflowing thrift store can have a longer lifespan. This helps to promote sustainability and kindness to the earth. 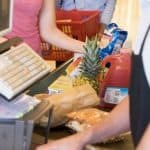 Buying quality items that will last longer also reduces waste. I’ll admit, it can be a little tricky when you can’t try before you buy. Although they list measurements for many of their items, sometimes you don’t know until you try it on. ThredUp gets that, so they have a generous return policy. You can return items for a refund in the original form of payment, but ThredUp will deduct the return shipping fee from your refund. If you don’t want to cover shipping fees, you can instead opt for a refund in the form of store credit. 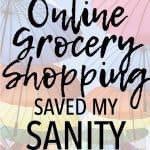 I typically go this route, because I know I can always find something else for me or the kids, so my credit doesn’t go to waste. 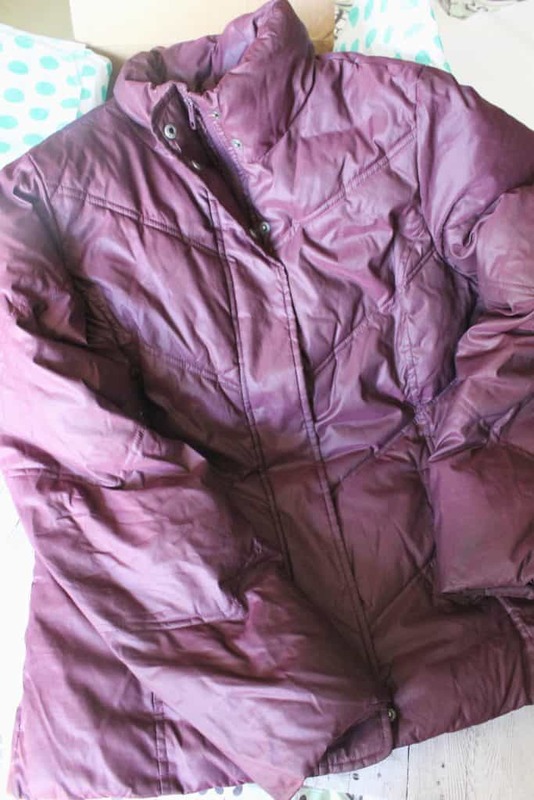 The burgundy puffer coat I ordered was too big for me, so I simply put it back in the box and shipped it off. After ThredUp received it, they credited my account. Easy peasy. Give it a Try–Save Time and Money AND Get $10! I have been very satisfied with my ThredUp experiences. If you ask me, it’s pretty awesome to save 75% on quality clothing without having to leave my home. It’s perfect for busy moms who don’t want to shop the store with their kids in tow. I love to use ThredUp as a great way to get the most bang for my buck while buying quality clothing items that will last. If you want to revamp your wardrobe on the cheap, you can ThredUp! I’m sure you’ll be pleased with the selection, the ease of using the site, and the quality of the items you receive. I’m always happy to find ways to save money on clothes for me or my family! Give it a try, and turn “I have nothing to wear” into a thing of the past! Have you tried ThredUp? What are your favorite ways to save on clothes? Want to Pay Off Debt? Subscribe to the Margin Making Mom newsletter and get instant access to the Debt Payoff Jumpstart Email Challenge! You'll also receive a FREE Debt Payoff Workbook to help you on your journey! Success! Now check your email to confirm your subscription and begin your Jumpstart right away! Yes, I Want to Pay Off Debt! Interesting! I had heard of this site recently and was wondering if it was any good? Trying to take care of tuition bills is definitely impacting disposable dollars at this point but I’d love a wardrobe update! And for someone that finds shopping gives me a massive headache, this looks like it would be a perfect fit (no pun intended….) for me. Thanks for great ideas that I find in your posts!